I gotta be honest with you — I’m not loving the options this holiday season the way I often am. It’s “Star Wars” and little else for this movie lover. I’m sure some award-worthy gems will reveal themselves, but it could be that the best films to see from Thanksgiving to New Year’s are films that have gotten limited releases prior to this week and might be expanded as award buzz mounts (that was “Moonlight” last year). I’ve also got plenty to catch up on from the summer that I missed. Anyway, there are definitely some interesting films from exciting filmmakers. This is too big of a movie to put in the skeptical pile, but it’s got at least one foot in there. 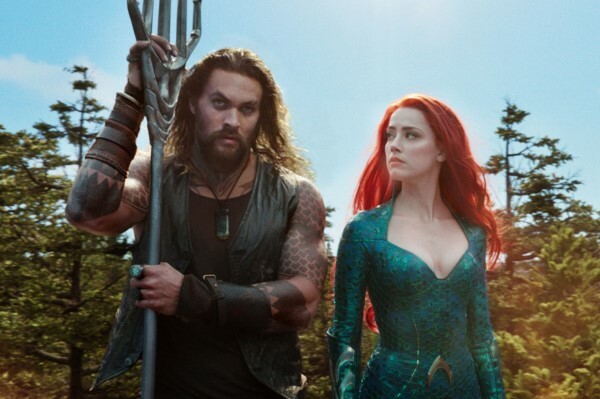 Warner Bros. has really struggled with the DC film universe with exception of “Wonder Woman,” and it would be a surprise to no one if the reviews said Gal Gadot and Wonder Woman are the lone bright spot in Warner Bros./DC Entertainment’s latest mess. 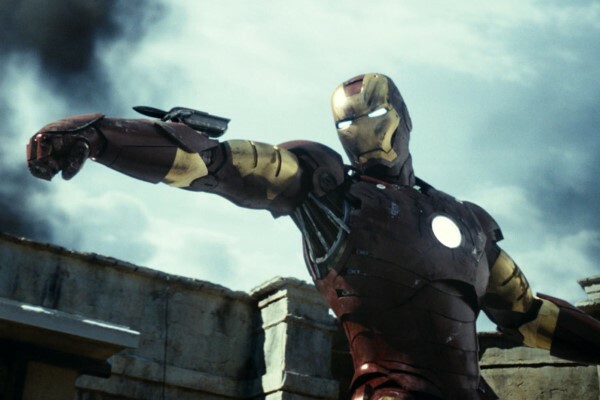 Although I haven’t consumed all the marketing, the film looks like a video game. 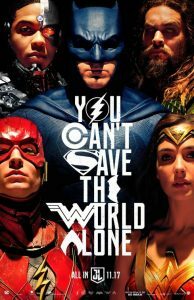 I haven’t felt this indifferent toward a huge superhero movie probably ever. Hopefully “Avengers” guru Joss Whedon’s involvement writing and (I’m assuming) consulting helped Zack Snyder and the gang turn around their and all our fortunes. 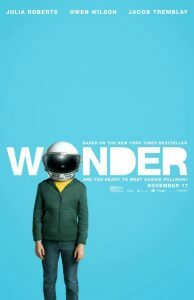 “Wonder” doesn’t look like an obvious awards contender so much as a feel-good film, but writer/director Stephen Chbosky (“The Perks of Being a Wallflower”) is pretty good at the storytelling craft, plus there’s “Room” star Jacob Tremblay playing a boy with facial differences who attends a mainstream school for the first time and teaches everyone to be more compassionate. Julia Roberts and Owen Wilson also star. Not normally the kind of movie that makes my most-anticipated list, but we could use a critically praised feel-good movie for once. Lionsgate seems fairly confident in it given the extent of the marketing (and the length of the campaign). It’s pretty simple to figure out Pixar. If they’re going for a commercial grab (the “Cars” films), the odds are much lower it’s a great film. Something as original as “Coco,” themed around Mexico’s Day of the Dead, has much higher odds to be one of their great films. 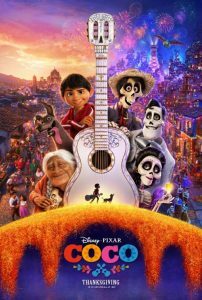 Lee Unkrich, one of Pixar’s top directors (he last made “Toy Story 3”) leads the way with this family-centric adventure about a boy who dreams of being a famous musician and travels to the Land of the Dead. The question is whether Disney/Pixar’s move to really make a story for Latino families will have the same commercial appeal as their films with talking animals, toys, feelings, monsters, etc. Winston Churchill is a popular figure in film and television these days. 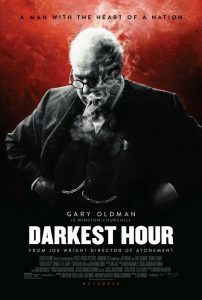 Although John Lithgow has been an award-winning fit in Netflix’s “The Crown,” Gary Oldman will try to earn his second Oscar nomination as a make-up transformed Churchill, in the latest from the visually astute Joe Wright (“Atonement”) and writer Anthony McCarten (“The Theory of Everything”). This film focuses on Churchill during war time (and might make an interesting companion film to “Dunkirk.”) Expect something beautiful to be sure, and hopefully something equally dramatic. 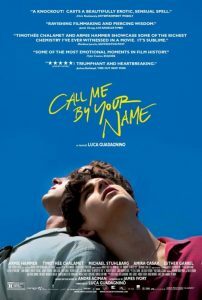 Receiving rave reviews ever since its Sundance debut, “Call Me By Your Name” seems poised for Oscar consideration, though it definitely has the look and feel of an indie that will appeal to select tastes, which makes sense given that’s been director Luca Guadagnino’s style thus far. 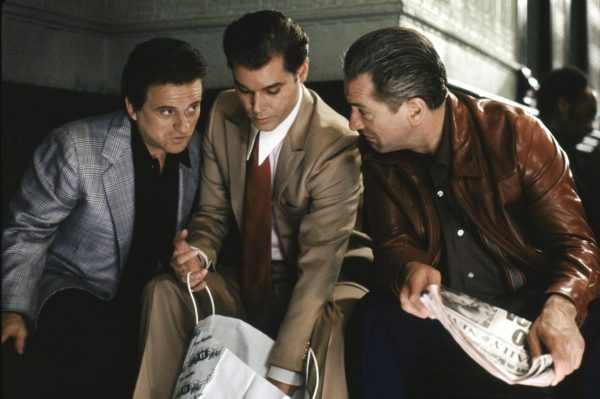 Adapted from a novel, the script comes from 89-year-old longtime writer and director James Ivory (“A Room with a View,” “The Remains of the Day”). Star Armie Hammer is quite often interesting on screen; he plays a scholar who stays with an American-Italian family in Italy in the summer of 1983 and becomes close with the teenage son. This has the looks of a distinctive coming-of-age film to be sure. 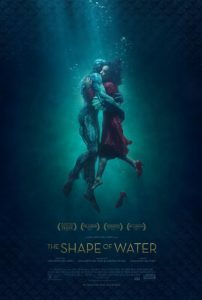 I’m a huge huge fan of “Pan’s Labyrinth,” and it might be time to revisit that Best Foreign Language Film nominee of 10 years ago because “The Shape of Water” looks like the closest Guillermo del Toro has come since. It’s nice to see him put aside the horror and blockbuster projects and return to this concept of the historical-set fairy tale/fable. Taking place during the Cold War, an American government facility has come into possession of a mysterious anthropomorphic amphibian creature. Three disapproving lab workers (exceptional talents Sally Hawkins, Octavia Spencer and Richard Jenkins) try and rescue the creature by smuggling it out. Reviews from the festival circuit this fall have been extremely positive. I can’t say anything about this film that will sway you one way or another or excite you more. You’re either stoked for “Episode VIII” or you’re not a “Star Wars” fan. 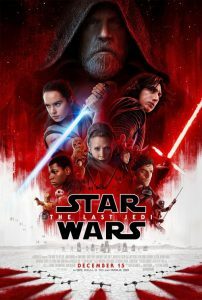 It bears repeating that Rian Johnson (“Brick,” “Looper”) directed this film, and he’s easily the most interesting name to take on this franchise and maybe any already-established billion-dollar franchise ever. The trailers have teased a notion of good and bad being very convoluted and that recipe has serious promise for a universe that to this point has had pretty distinct lines between good and evil. Expect a lot of answered questions that will set the stage for “Episode IX” in a major way. 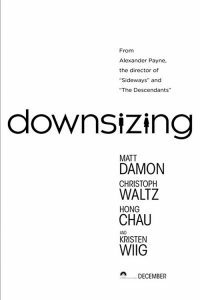 I love a good concept film, and “Sideways” duo Alexander Payne and Jim Taylor have definitely made something worthy of our attention in this story about humans shrinking themselves as a way to cut costs and consumption. I was, however, initially very leery; any movie trailer that makes no suggestion of plot, conflict or drama has me concerned. Well, the recently released second trailer (below) gives us a sense of the conflict and alleviates enough of my concern, especially given Payne’s track record (“Nebraska” and “The Descendants” were among my favorite films of their respective years). 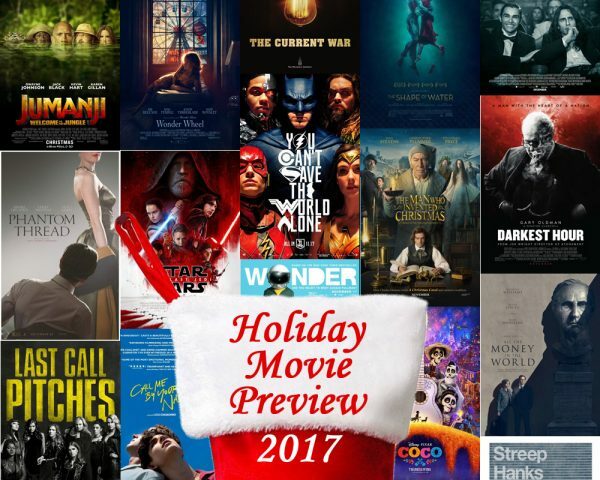 All that said, the stacked cast and Christmas release could mean this is more commercial than artistic. 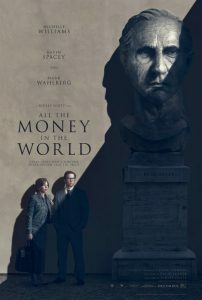 This film was already interesting before sexual harassment allegations ran Kevin Spacey out of Hollywood; now, Sony is literally taking this film out of the can with less than two months before release and trying to reshoot Spacey’s scenes with Christopher Plummer in the role of the elder John Paul Getty, who in 1973 refused to pay his grandson’s ransom despite being filthy rich. The ambition to release the film on schedule and wash its hands of Spacey suggests Sony must feel pretty good about the potential of Ridley Scott’s latest, which also stars Michelle Williams as the mother and Mark Wahlberg as Getty’s security man. Otherwise they would’ve just pushed it back a long time as is usually the case. Tom Hanks, Meryl Streep, Steven Spielberg. This film could’ve been made any time in the last 20 years, maybe 30 years, and audiences would be as excited about this 1970s newspaper drama (and for all intents and purposes a spiritual sequel to “All the President’s Men”) as I am now. 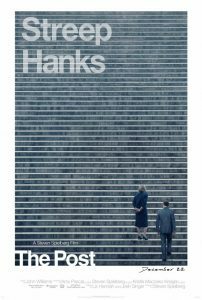 Streep stars as Kay Graham, former publisher of The Washington Post, and Hanks as Ben Bradlee, her editor, in a story about the Post clashing with the Nixon administration over their right to publish government secrets, as initiated by the leaks of the Pentagon Papers. If nothing else, surely the Academy will find a way to award Streep her 21st Oscar nomination. 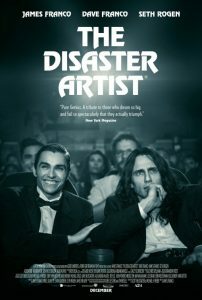 Like the aforementioned Hanks-Streep-Spielberg combo, when Paul Thomas Anderson and Daniel Day-Lewis make a movie, it goes straight to the anticipated list. 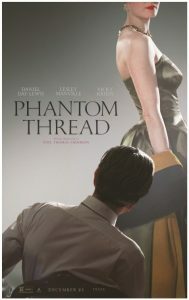 The subject matter seems admittedly unusual for PTA: a renowned dressmaker in 1950s London (Day-Lewis) becomes enamored with one of the women he dresses (Vicky Crieps) and becomes possessive of her. You can feel the metaphor of an unraveling thread in just the freakin’ trailer. Anderson’s choice to bring his style to this upper-class English 20th Century aesthetic is intriguing to say the least and costume designer Mark Bridges seems like a lock for his third Oscar nomination (he won for “The Arist”). In the grand tradition of milking the holiday spirit, there has been a lot worse than this. At least it’s an educational and informative take on “A Christmas Carol” instead of just another iteration. 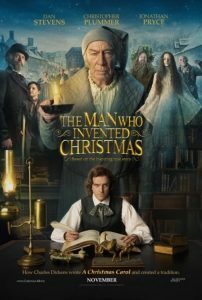 I also like the cast of Dan Stevens (“Beauty and the Beast”), Christopher Plummer as Scrooge and more. But the fact remains that this movie was made because it plays on a classic Christmas tale that’s so beloved it’s staged every single year. In other words, cash. If it happens to be good, it was just a matter of luck. Call me a Scrooge, but that’s where I stand. 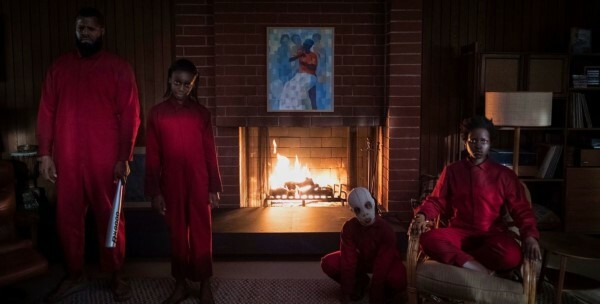 When a film has the look, feel and especially talent of a prestige picture, but it’s not getting much love by critics, it’s important that it makes the skeptical list, even if far worse-looking movies are lurking about the release schedule. 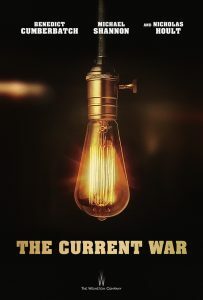 Although there aren’t a ton of reviews, this story about the battle to power the world between Thomas Edison (Benedict Cumberbatch) and George Westinghouse (Michael Shannon) has a 31% on Rotten Tomatoes and a 42 on Meta Critic to date. I like director Alejandro Gomez-Rejon (“Me and Earl and The Dying Girl”) too, so normally I’d be into this one, but if it’s just okay amidst the winter flood of award-worthy films, it should be passed on. It’s night and day between Woody Allen’s good movies and his bad ones. There’s almost never middle ground. 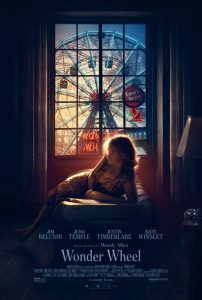 A December release would suggest good things for “Wonder Wheel,” a brightly colored 1950s-set drama taking place on Coney Island, and the cast Allen assembles is of course excellent, but the reviews are decided split right now on Rotten Tomatoes. That’s better than overwhelmingly bad, but I guess we’ll just have to wait for Allen’s 2018 film to see if we’ve got his next gem. Sadly, it’s been awhile, and even sadder, how much more does he have left? Part of what made “Jumanji” the book and the 1995 movie so great was the characters were playing a board game and that all kinds of crazy stuff invaded their world/the real world. 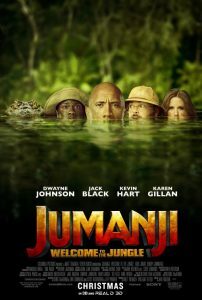 In an era when table top games are coming back, it’s sad that this reboot is imagining Jumanji as an old video game with the characters being turned into avatars and zapped into a make-believe jungle where anything goes. The casting of Dwayne Johnson and Kevin Hart acting as if they’re teens/young adults assures a big box-office haul and maybe some good laughs, but it’s tough to imagine the spirit of the original existing anywhere in this movie. 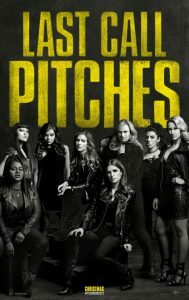 I really liked the first film, and loved the book this whole franchise was inspired by, and I did a cappella in college … but after “Pitch Perfect 2,” I’ve no hope that this cash-grab will be anything but for the most ardent fans of this franchise. The fact that writer Kay Cannon has invented another singing competition (this time overseas at a USO tour) to base the plot around (for a bunch of girls no longer in college) shows there isn’t enough to work with here and that the only thing keeping this whole thing together is the cast. Expect this to be a “yay, we’re back with these characters one last time!” victory lap of a film and little else.